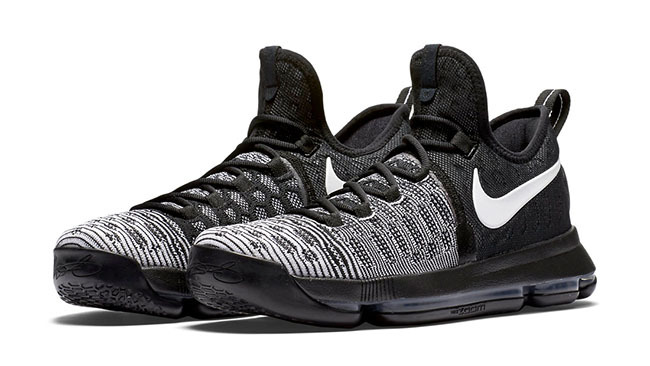 The Nike KD 9 is the next installment for Kevin Durant’s signature shoe which will debut at Nike Basketball retailers during the Summer of 2016. 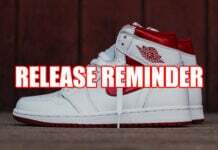 The preview we have has came from Danny Nunez on Instagram who is the Jordan Brand digital manager. 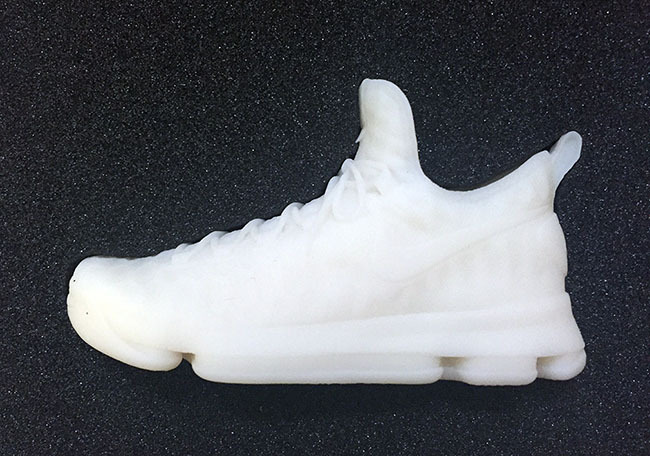 Posting the image, he used the hashtag #KD9. 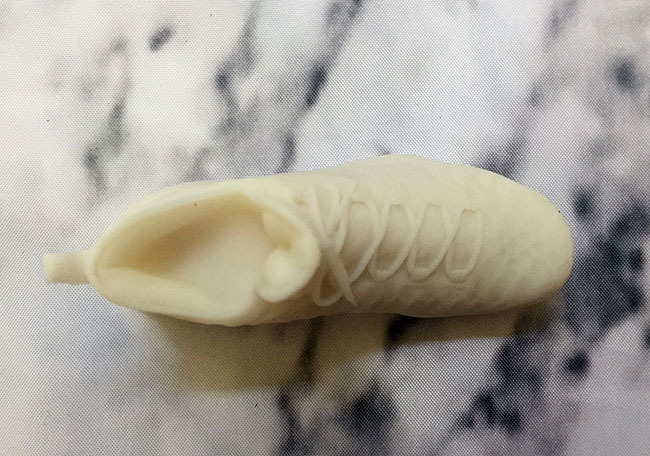 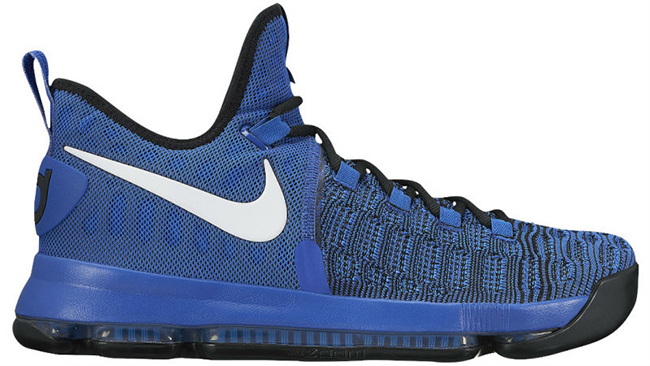 Due to his status, his post has confirmed this model to be KD’s next signature shoe. 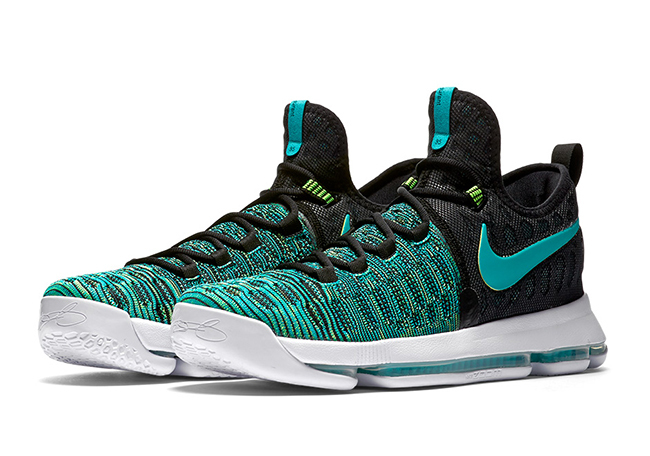 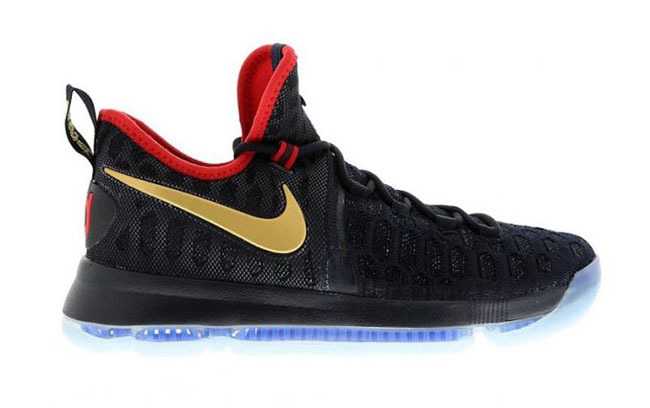 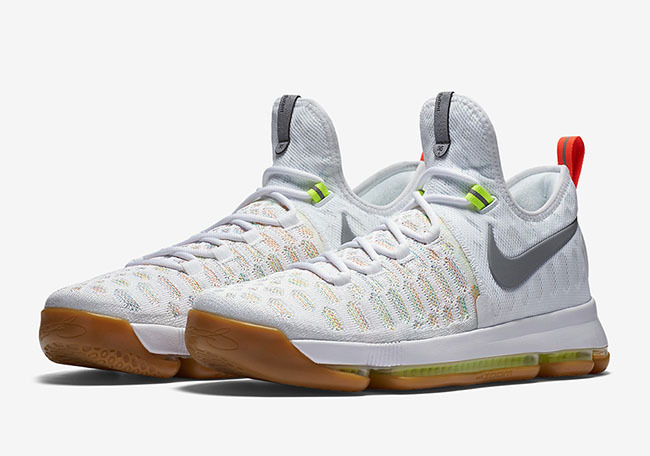 As you can see, Nike and KD went without a mid foot strap and lacking the Air Max unit that was seen on the KD 8. 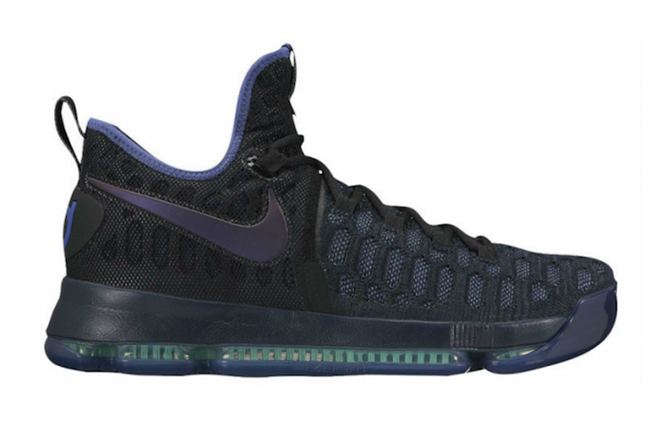 Using a low top model, the tongue and collar does extend a bit higher then its predecessor. 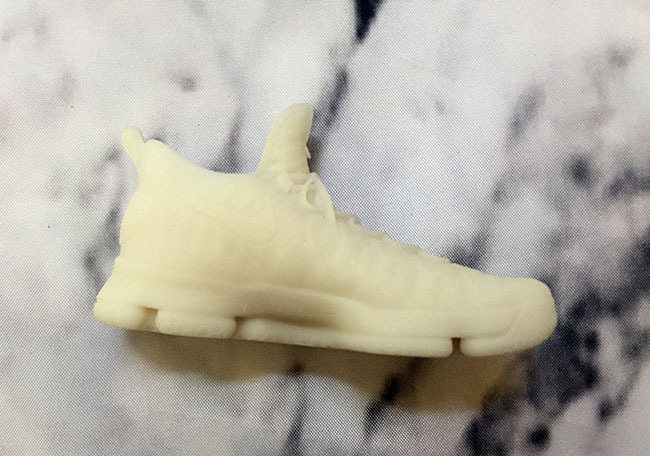 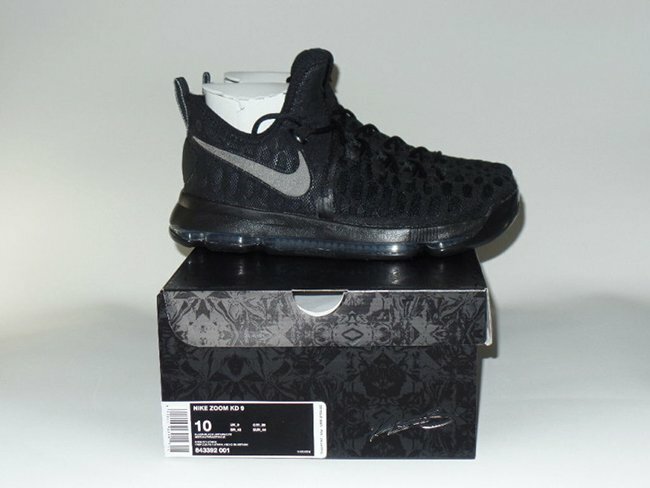 It’s worth noting that this look is a miniature model of the KD 9, so the retail version should look a little different. 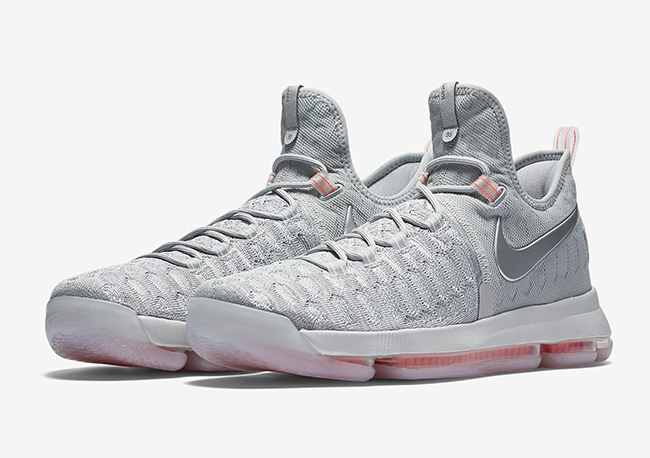 Once again, the latest Kevin Durant signature shoe is designed by Leo Chang and comes in low top form. 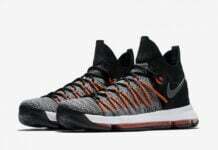 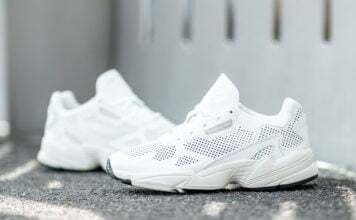 Featuring a Flyknit upper along with a distinct honeycomb structure precisely knit for the multidimensional movement of basketball and Durant’s lateral quickness. 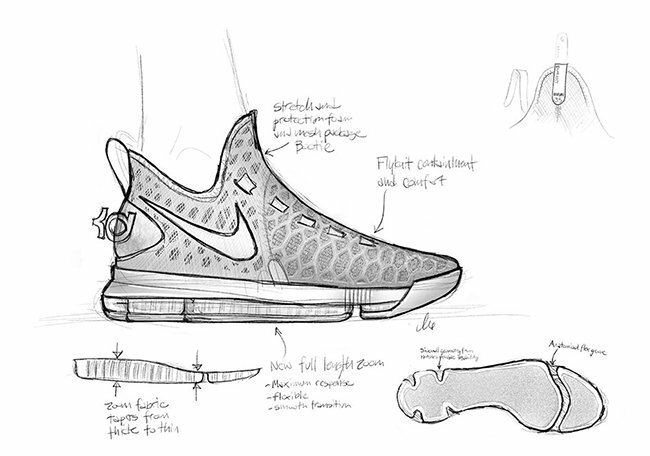 Using a tapered Zoom Air unit from the heel to the toe which took three years of testing. 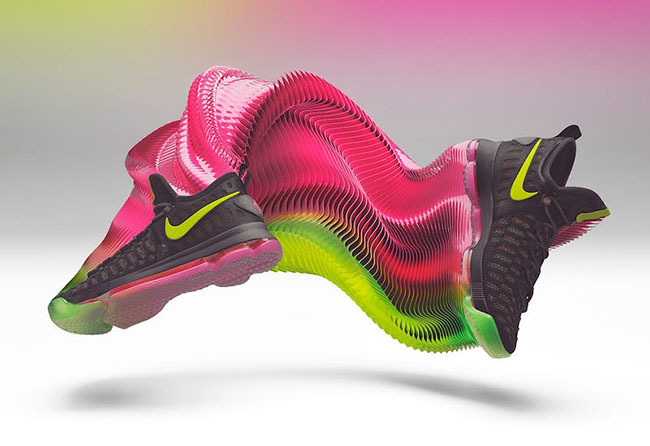 In addition the Air unit is filled with fibers that compress with each stride for responsiveness. 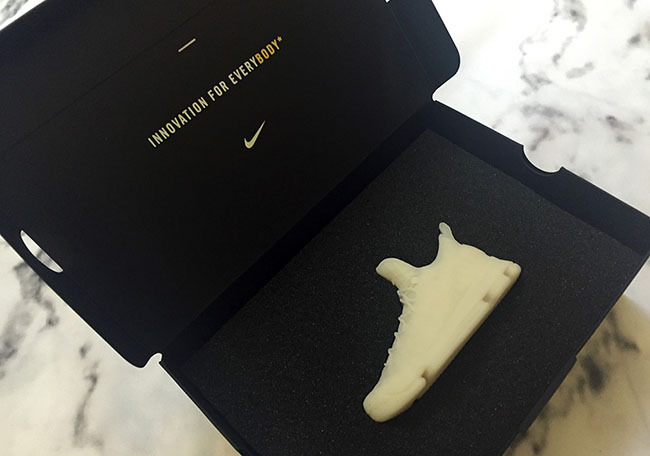 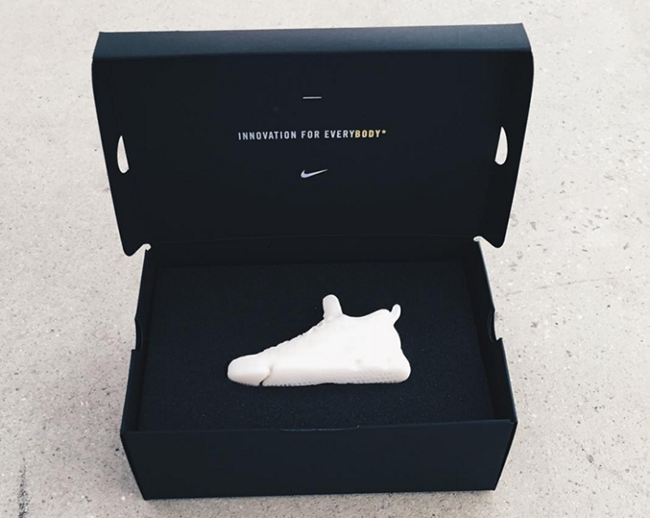 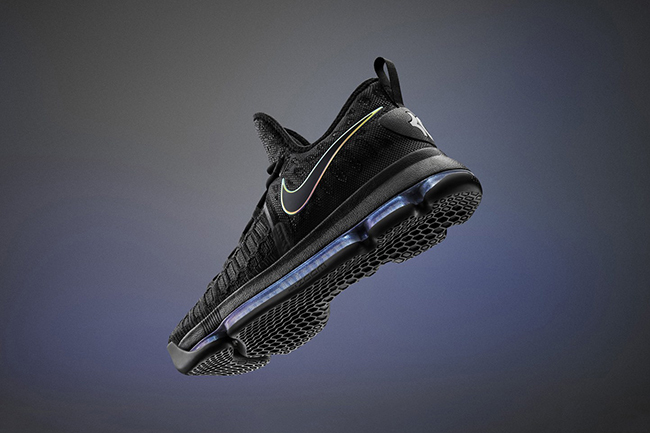 Nike has also minimized the midsole that will again add to the responsiveness of the shoes. 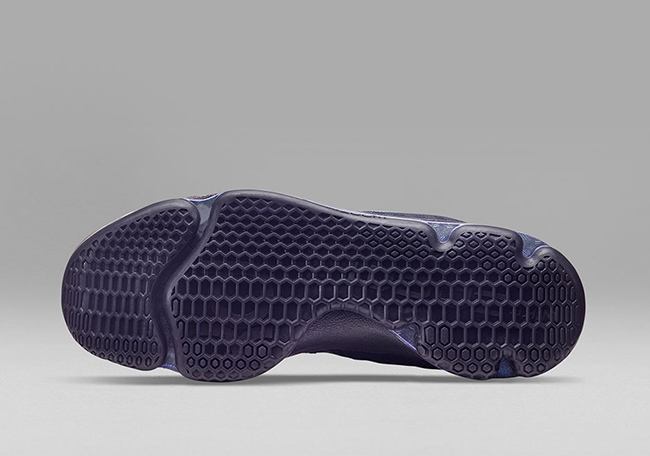 Anatomical flex grooves are used through the forefoot to aid in natural transitions. 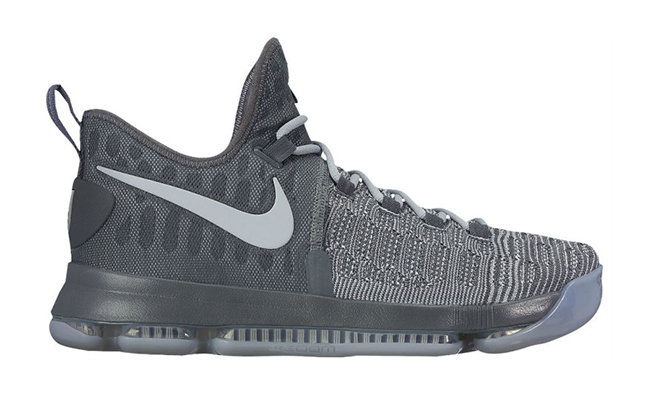 The first Nike KD 9 set to release will take place on June 20th, 2016 which is the color scheme shown. 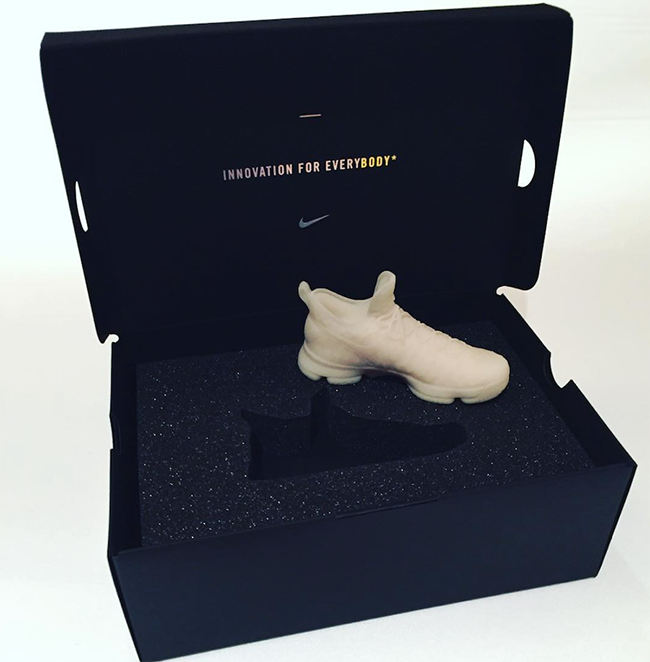 Retail price will be $150 which is a $30 drop from the previous model. 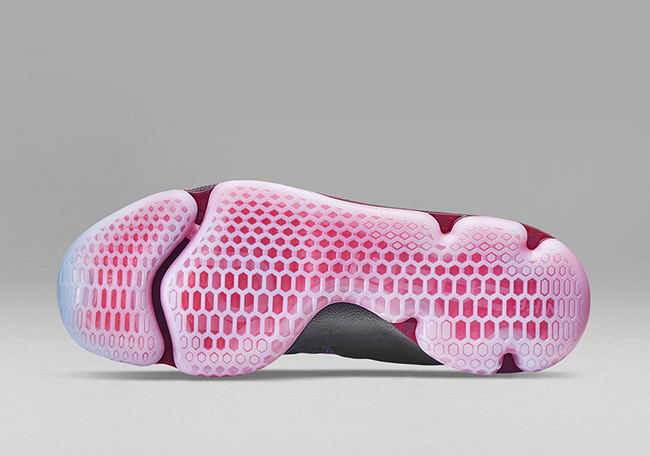 More color schemes will be shown in the coming months so stay tuned but for now you can see a few more images. Let us know what you think of the KD 9 by leaving a comment below. 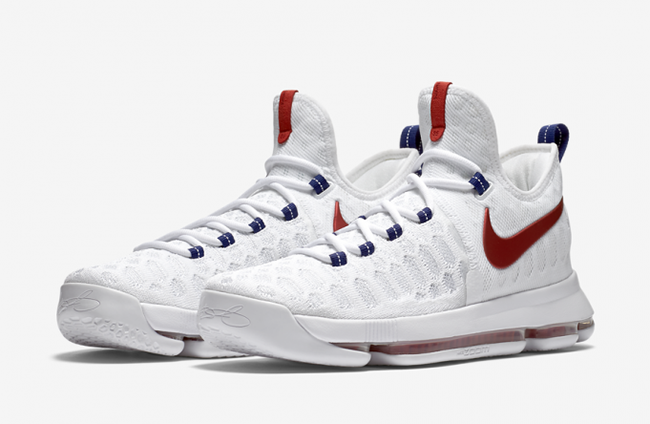 Update: While June 2016 will have a handful of Nike KD 9 releases, we now have release dates for upcoming KD 9 releases through February 2017 via NT. 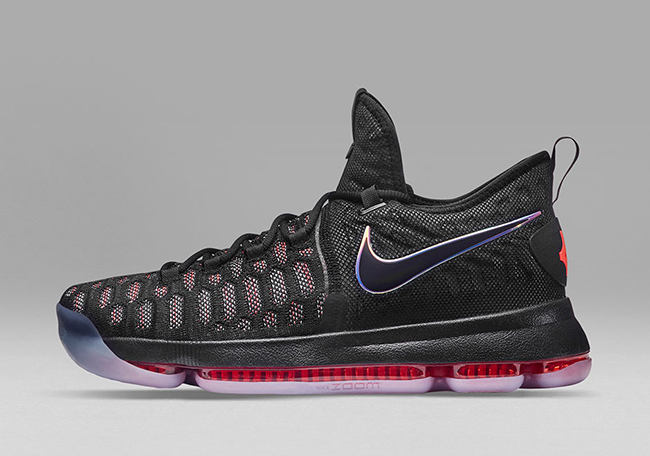 Update: Nike Basketball has officially unveiled the Nike KD 9. 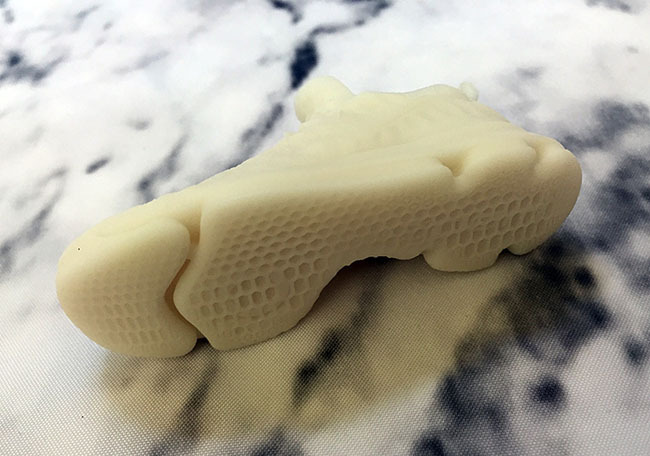 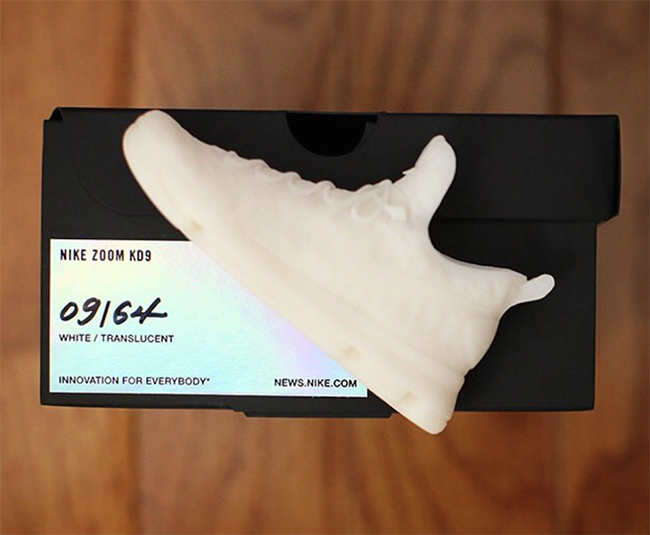 The first pair to release will take place on June 20th, 2016 and has a retail price of $150. 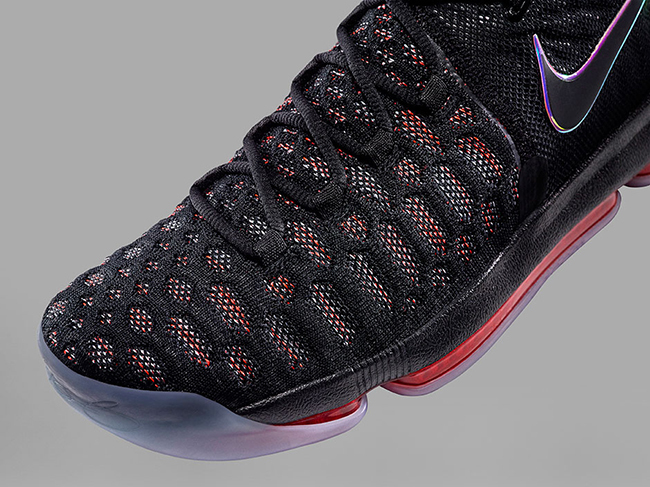 Which colorway is the one in the first picture (black with red highlights)?